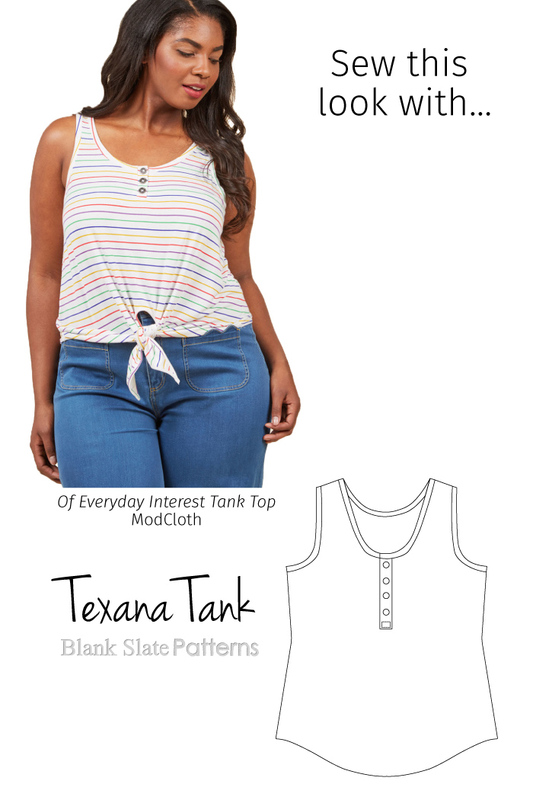 This is barely even a hack to the Texana Tank! All you’d have to do is add a tie front. Follow these steps and make the tie cutout facing a half circle instead of an upside down v, if desired.